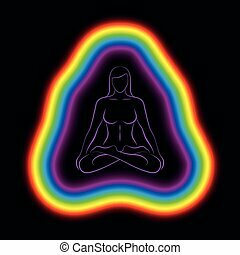 Aura meditation subtle body woman. 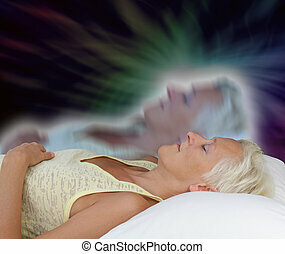 Aura or subtle body of a meditating woman in yoga position. vector illustration on white background. 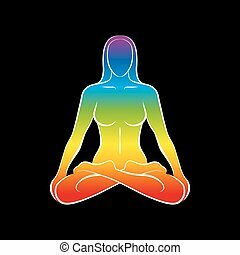 Aura or subtle body of a meditating woman in yoga position. Vector illustration on white background. 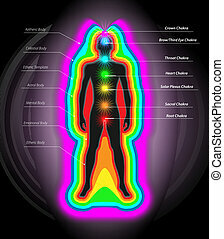 Illustration of human energy body silhouette with blue aura and chakras. 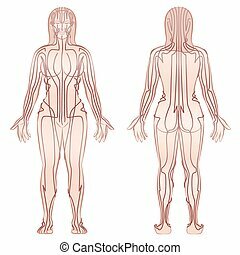 Body of woman. 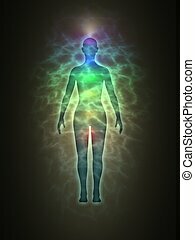 Theme of Creation, healing energy, connection between the body and soul. 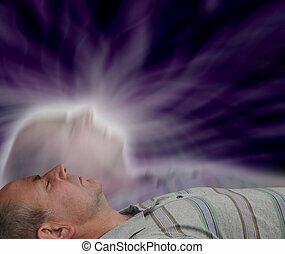 Aura or subtle body of a meditating man in yoga position. Vector illustration on white background. 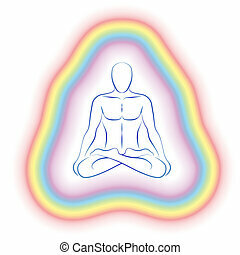 Meditating man in yoga position with colorful aura or subtle body. Isolated vector illustration on black background. 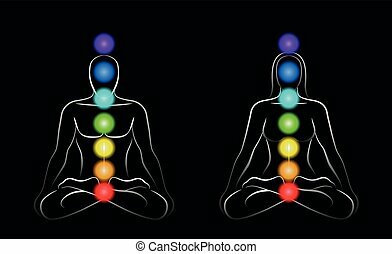 Meditating couple in yoga position with colorful subtle body or aura. Isolated vector illustration on white background. 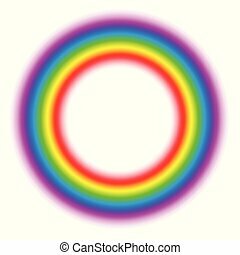 Illuminating rainbow gradient aura ring. Subtle body circle. Vector illustration on white background. Subtle body circle. 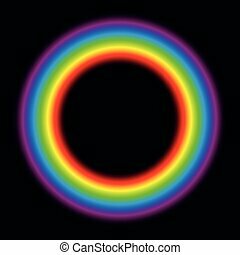 Illuminating rainbow gradient aura ring. Vector illustration on black background. 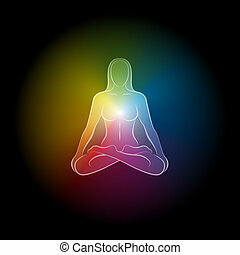 Colorful mystical aura of a meditating woman in yoga position. Isolated vector illustration on black background. Meridians - meditating woman with main acupuncture meridians - front view, back view - Isolated vector illustration on white background. 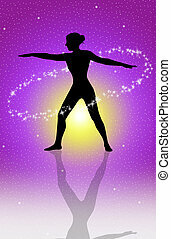 Meditating woman with chakras - standing yoga position. 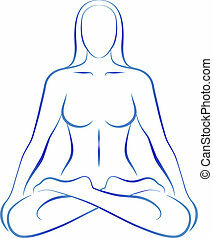 Illustration of a meditating woman in yoga position. 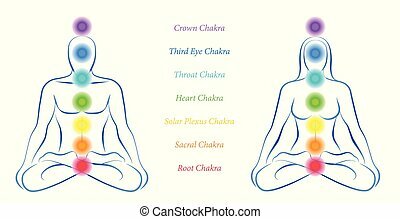 Main chakras - man and woman in meditation with chakras and their names. Sitting woman with a rainbow gradient colored body or soul. Isolated vector illustration on black background. 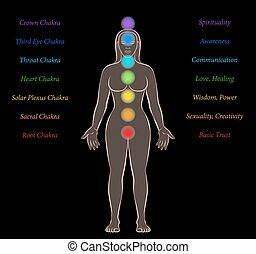 Body chakras of a woman with names and meanings on black background. 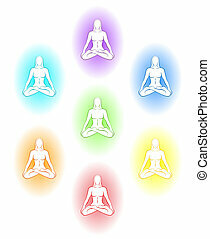 Meditating woman with different aura colors of her subtle body. Isolated vector illustration on white background. 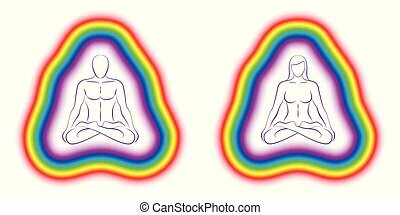 Main chakras - meditation couple with colored chakras - outline illustration of man and woman on black background.